Special thanks to all our guests who joined us for a night of fun and punk rock. 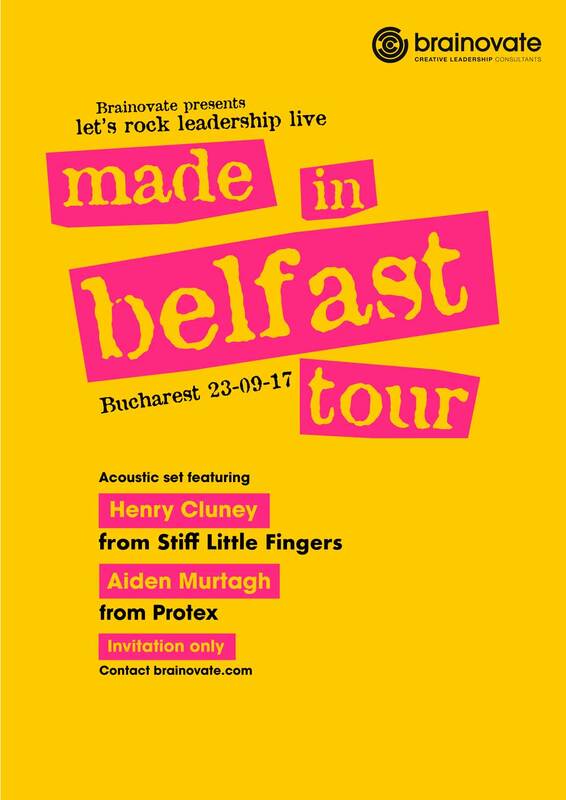 Henry Cluney from the legendary Stiff Little Fingers and Aiden Murtagh from Protex had a great time performing live for the first time in Romania. The event heralded the arrival of Brainovate’s flagship program Let’s Rock leadership. It’s a night we’ll remember.